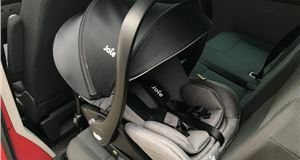 The Joie Stages Isofix is designed to be used from birth right up to around seven years old thanks to the way it converts. Being a Group 0+/1/2 seat makes it a rarity among child car seats - most only go from birth to 4 years old. 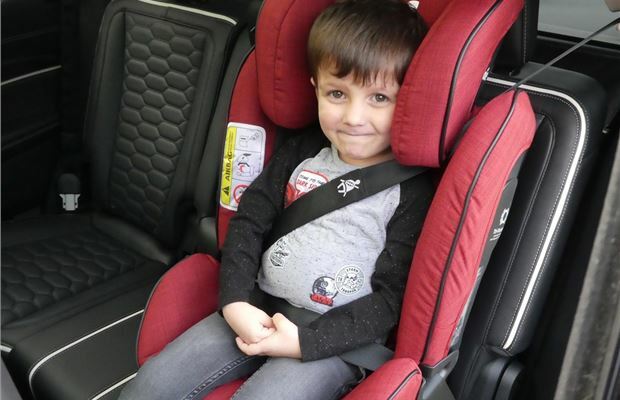 It starts off as a rearward-facing seat for little ones up to 18kg, then converts into a forward facing seat for 9kg to 25kg children and can then be used as a group 2 booster. 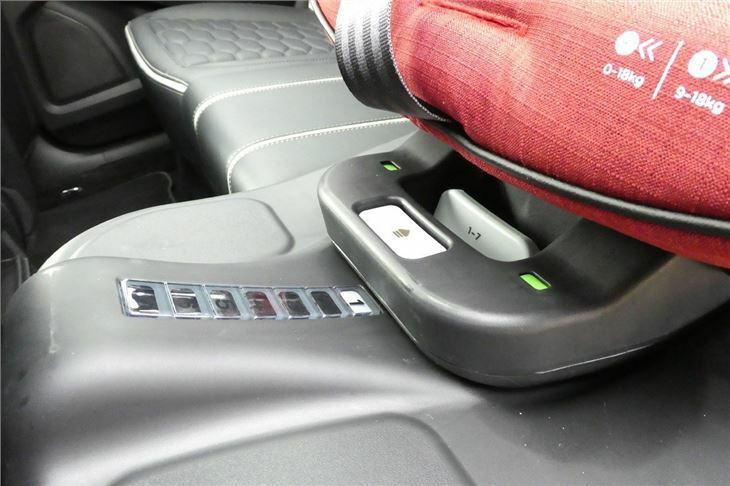 It's priced at £300 but there's a cheaper non-Isofix version (usually around £150), if you're car is older and doesn't have the fittings, but as always, we'd recommend using Isofix if you can as it's safer and more secure. The Stages has been tested to the latest i-Size standard - you can read more about i-Size here - but basically the i-Size regulations are designed to give extra protection - the key differences are better head and neck support along with improved protection from side and frontal collisions. 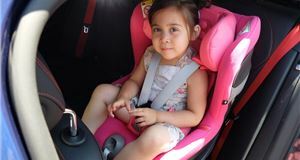 It comes with the usual five-point harness, an integrated rebound bar on the base and ventilation on the back of the seat, useful in the summer. It also includes some unusual features including what Joie calls 'Guard Surround Safety' side impact panels. There are four colours, Cranberry, Navy Blazer, Foggy Gray and Pavement - which is grey to you and me. Get the Joie out of its (very large) box and it's immediately obvious this is a hefty bit of kit. At 14kg it's not an easy thing to move about on your own - but once in your car, it's reasonably simple to fit. The Stages feels a sturdy seat though. The cover material is hardwearing and thick plus we like the stitched-in cover that sits behind the seatbelt buckle - it's better than the velcro version on the Joie Spin 360. 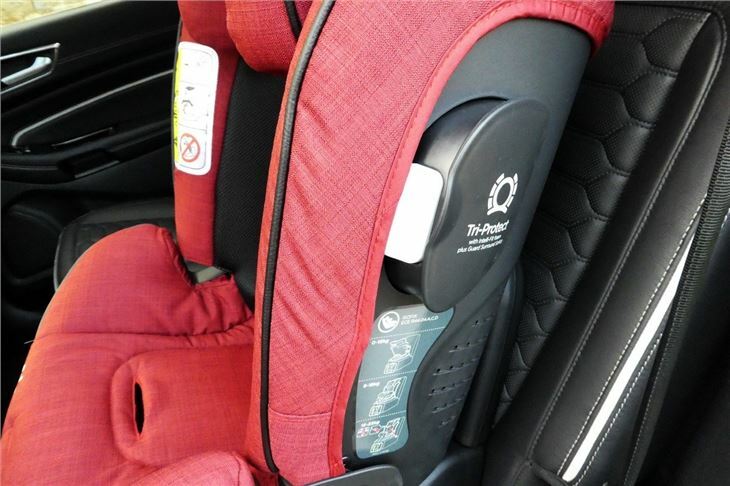 The seat cushioning is nice and thick, so you know your little one is getting plenty of support, while the headrest is reasuringly well-padded. That headrest has seven positions and adjusting it also usefully moves the seatbelt harness with it, so you don't need to re-thread them. As this is being tested by four-year-old Daniel, we've got it in Junior Mode which is suitable from around three to seven years - or from 15kg to 25kg. Changing between the different modes is very easy. The seat simply clips off the base with the press of one button and turns around, so it's ideal if you're using the seat for different aged children. In Baby Mode there's an extra Infact Support insert (shown below) for babies up to six months old. You can then recline the seat all the way back. There are seven recline positions, handy if your little one falls asleep and you want to angle the seat down without waking them up. We've tested the Stages in several different cars including a Ford Edge and a Nissan Qashqai. Day to day it’s great to use. 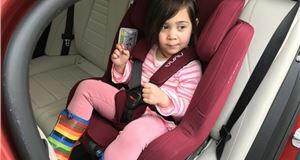 In Junior Mode, there's no need for the five-point harness, but cleverly there's a little compartment in the base of the seat to hide it away. There are easy guides for the car seat belt to go through and that stops our tester Daniel from moving around too much. When he isn’t feeling lazy, Daniel likes being able to sit himself in the car and help me strap him in. 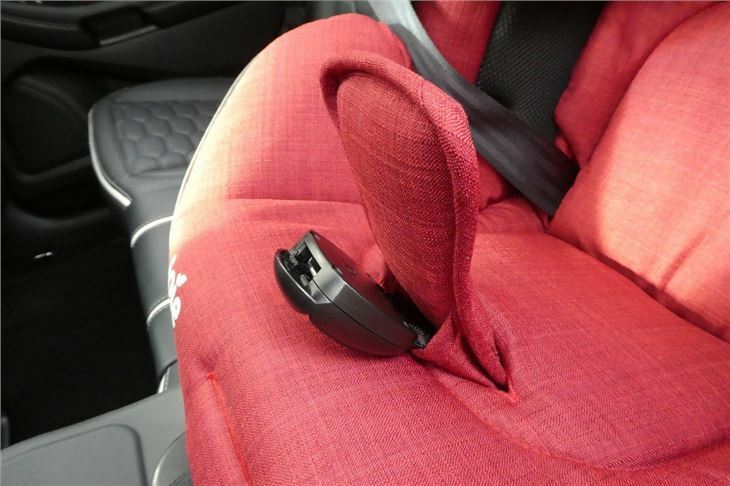 As the seatbelt guide is attached to the adjustable headrest, it's always in the right position. Daniel is also a fan of the reclining options. Being a laid back boy, he prefers to be in the maximum recline position, so he can sit in the back and chill out. I am fan of that too. One criticism is that the recline handle is quite stiff so takes a lot of force to get it locked into place, so it's not especially smooth. 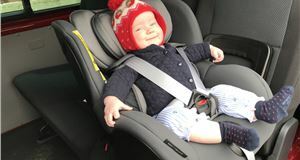 Another minus point for me is that the Isofix base sticks out at the front when the seat is in the upright position - and as a result digs in and is uncomfortable on the back of Daniel’s legs after long journeys. But we like the ventilation in the seat and even in warmer weather, Daniel is quite comfortable. One unusual feature is the little side impact panels which flip out either side of the seat. They don't seem like much, but according to Joie these bring the seat structure closer to the edge of the vehicle. So in a side collision, the energy can transfer quickly into the seat shell and steel structure of the seat - the idea being that it absorbs more force and reduces any potential injuries. 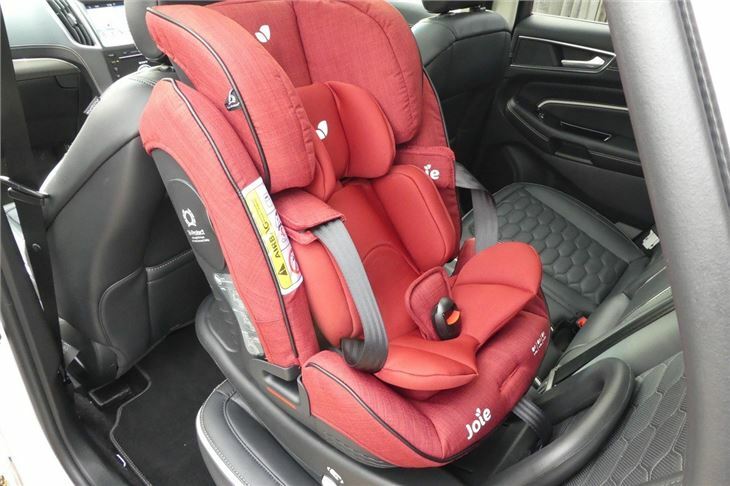 At £300 the Joie Stages may be at the expensive end of car seats, but the fact it works from birth right up to 7 years old makes it unique. 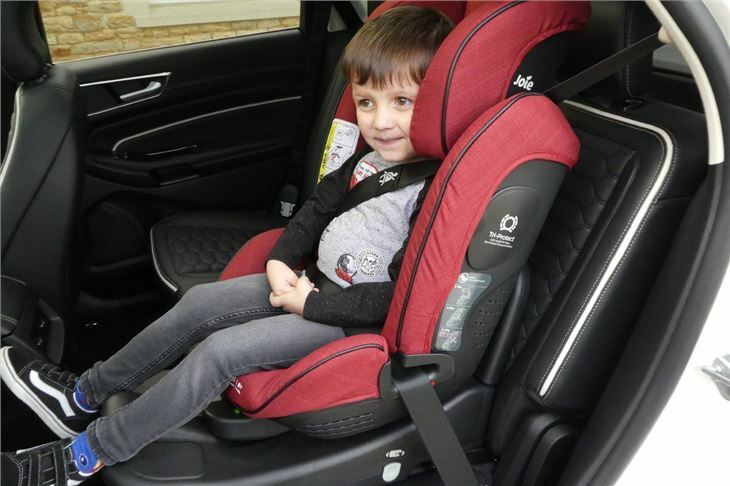 The only other seat we could find that offers similar is the Diono Radian 5 but while that's cheaper, it's not i-Size compliant and doesn't have Isofix. 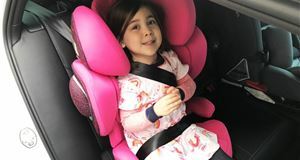 Essentially it means you can buy one seat when your little one is born and not have to worry about replacing it until they are 25kg in weight - around six or seven years old. Most others will only go from birth to four years. It also feels a high quality product that will last with hardwearing material and robust plastics used in the seat shell and the base. Once fitted to Isofix mounts it's sturdy too with no movement or rattles once you're on the go. True, the recline handle could be easier to release, but this is a very minor criticism of what is an excellent seat and one that's very easy to recommend as a long term investment.